I just got this error on GT. What the what? 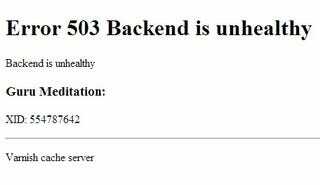 My backend is perfectly fine, thankyouverymuch.